The protection of all hardware and software components used in computer system is called computer security. A phenomenal amount of information now resides on computers. Individual computers as well as computers that communicate with each other in geographically-restricted local networks as well as globally, via the internet, contain billions of pages of text, graphics, and other sources of information. The objective of computer security includes protection of information and property from theft, corruption, or natural disaster, while allowing the information and property to remain accessible and productive to its intended users. The entire point of computer security is to eliminate or protect against threats. A threat is any thing that can cause harm. In the context of computer security, a threat can be a burglar, a virus, cyber crime, human error, war and terrorist activity, hardware failure or natural disasters. The protection of all hardware components used in computer system is called hardware security. Hardware security protects the machine and peripheral hardware from theft, electric hazard and vandalism of the equipment. 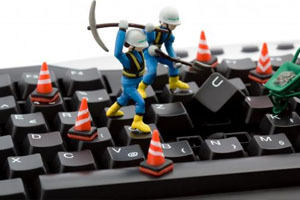 Regular maintenance is necessary for proper functioning of the computer. We should clean our computer and its peripherals by using dust cleaner. We should scan hard disk using latest and updated antivirus software to make the system virus free. The term 'insurance' is not new for us. Generally, people ensure their health, life, company, building, vehicles, etc. But nowadays people ensure their computer also. If the computer is damaged or theft, we can claim the insurance amount and get the system replaced with a new one. So, it is also a computer security measure. Dust is one of the major factors which causes infection to our computer system. Dust affects external as well as internal parts of computer system. So, we should keep our computer at a dust and smoke free place. We should use dust cleaner or cover (cloth or plastic) to prevent our computer from dust. Smoke can also damage many parts of our computer system. So, we should keep our computer free from smoke. We should maintain suitable temperature, moisture and circulation of air in the computer room. Low or high temperature in the computer system may cause unexpected crashes during the operation of computers. Heat can break down contracts or junctions the chip or other devices. So, there should be proper air condition to maintain suitable temperature in the computer system. Similarly, there should be enough light in the computer system. A computer requires a steady voltage of 110 V or 220 V. The fluctuations (rise or fall) in electric voltage or frequent power failure can damage computer hardware. The device that protects the computer system from the fluctuation of electric voltage or frequent power failure is known as power protection device. UPS (Uninterrupted Power Supply) : A UPS is a power protection device which stores electricity and provides backup power automatically to the computer when required so that huge amount of data is prevented from being lost. 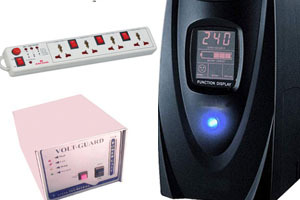 Volt Guard : A Volt Guard is an electrical regulator designed automatically to maintain a constant voltage level. Spike Guard :It is also a power protection device which is used to prevent computer from sudden high voltage (spikes), because in rainy season, it can control such voltage. The protection of all hardware components used in computer system is called hardware security. The protection of computer system from being lost or damaged due to accidental or international harm is known as computer security. In other words, computer security is protecting computer data, information, programs and hardware from being lost or damaged. What is hardware security? List any four hardware security measures. The hardware security refers to the protection of computer hardware from being damaged or lost due to accidental or international harm. How does regular maintenance help to protect computer hardware? The computer hardware are very delicate and they require regular maintenance which helps to increase the life span of the hardware. 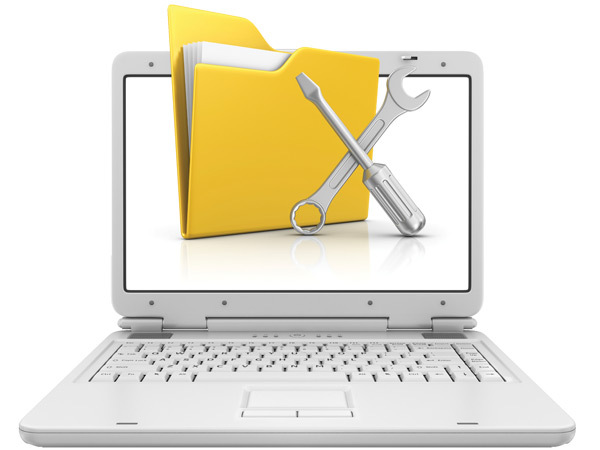 The regular maintenance of hardware keeps the computer on good working condition and helps to find out problems in hardware and correct the problems before they cause several damages. In this way, regular maintenance helps to protect computer hardware. What is power protection devices? List any four power protection devices. The device that protects the computer system from the fluctuation of electric voltage or frequent power failure is known as power protection devices. What is the role of UPS in computer security? Which of the following does not fall under hardware security? What is the full form of UPS? __________ is an electrical regulator designed automatically to maintain a constant voltage level. The protection of all hardware and software components used in computer is called _______. __________ is a power protection device which stores electricity and provides backup power automatically to the computer when required so that huge amount of data is prevented from being lost. How many types of case power supply unit are there? Any Questions on 'Computer Security '?